Thanks to those engineers who engaged on my last little blog on Remanufactured parts and reducing some of the extortionate pricing which is now occurring in some areas of the boiler spares replacement market. I did notice that whilst many of you are quite enthusiastic about the idea a few engineers are under the impression that the items might be “Second Hand” “Inferior” “Not up to Standard”. Those ideas are a bit misguided or not well informed as Remanufacturing is a standard and to quote the standard once again a remanufactured part must be “Equal or Better than the original” it is a recognised procedure used in a number of industries (think about the motor industry for one). When you consider it items like printed circuit boards, fans, pumps and diverter valves are mostly a lump of solid casting or product of some description which is mostly sound and reusable. Simply replace all the functioning items and you have a product that has been fully remanufactured at about 40% less than the original in cost. Don’t forget a Reman boiler part has a 3 year guarantee. The figure of 40% could be increased quite easily if the manufacturers got behind this process but when they are charging the prices they do why would they wish to do the genuine bit for the environment. 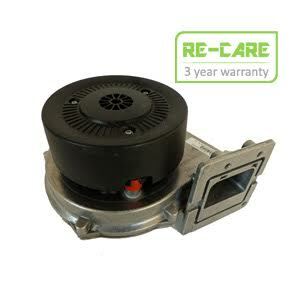 As a specialist trade supplier of boiler parts and heating equipment we see and know the trends on spares and I can tell you there are a lot of expensive items that have dubious reliability issues. Trust me on this one many big ticket items can be remanufactured to a higher standard than the original, save the customer a shed load of money, be more reliable and are better for the environment. So what is there not to like? About time we all took the manufacturers to task on this one! Just one last point I should have answered is “How do we get the stuff back”? Easy, the engineer chucks us the old item then we chuck it into a stillage bin, when the bin is full the manufacturer gets their courier to collect (about £10). I hope that some of you do start getting on the case of your favourite manufacturer and say to them “and just exactly what are you doing about this issue to justify your Green Statements and Green Advertising” or some of them could just be bull shitters just taking the money I suppose.